Historical fiction of a real person. John Ducharme, from St. Lawrence County, New York, fought for the Union during the Civil War, from Gettysburg, Pennsylvania to The Wilderness in Orange County, Virginia. He returned to the North Country a hero. But, did he think of himself as a hero? This is his story. The woods were set on fire by the bursting shells, and the conflagration raged. Well it is winter in Virginia now, where I find myself. I am encamped as part of General Meade’s force and right across the Rapidan River — would you believe — is the leader of the Secessionist Army, R.E. Lee, himself. There ain’t much to do in camp. We while away our days writing letters, having snowball fights and we even staged a dance in which half the men portrayed themselves as ladies. What a sight to behold! Truly, it had not. It was but 5:00 in the morning and we were on the attack. Friday morning was even hotter than the day previous. Our attack on the Secessionist General Ewell’s forces proved fruitless and we were forced to return to our original position and dig in. We lost many a man in our failed efforts. We chased the rebels through the dense forest and found ourselves stepping over the bodies of the fallen — both Union and Secessionist. We took what we could from those who could no longer protest, as old man Jellett had commanded. Robbing from the dead to feed our bellies. As evening fell, the fighting subsided but the air was heavy with smoke, heat and humidity. The stench hung over us like a death shroud. In this wheat field in southern Pennsylvania, you will find forever a remembrance of the deeds of thousands who struggled to keep our Union as one. Now, I am reduced to a block of granite upon which is written: “This battery held its position.” At Gettysburg, at Cold Harbor, at Petersburg, at Spotsylvania — at the Wilderness — we held our position. We kept this Union together. 4,500 men out of 400,000 from New York fought their last battle in the forest of Virginia, May of 1864 at the Wilderness. It will not be the last. Author’s note: John Ducharme was a real person. He was the great-grandfather of someone I know from Gouverneur, New York. After moving to Canton, I saw an ad for a historical writing contest in the local newspaper. This was my submission. 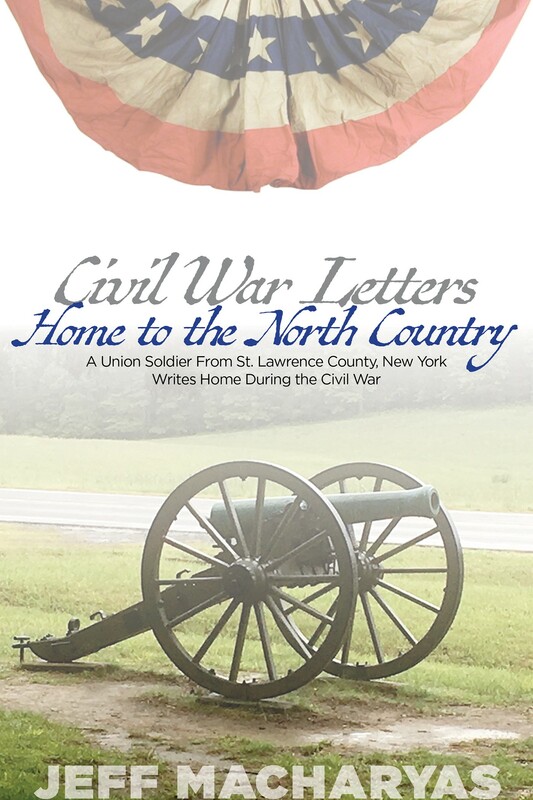 I knew a little about Ducharme, but then researched his life, and the civil war connection to St. Lawrence County. Much to my surprise, Ducharme apparently served the Union Army at the Battle of the Wilderness in Orange County, Virginia, May 1864. What makes this connection so relevant to me is that, for 11 years, I lived directly adjacent to the Wilderness Battlefield in Lake of the Woods. It is certainly possible that John Ducharme walked the very same earth I did so often in my own backyard. This is the anniversary of the Battle, and every year I would go out in the backyard, stare into the Battlefield and think “how in the hell did they do it? How did they march through those woods, forage for food, carry all that stuff, all the while being shot at? It amazes me to this day. And, to think, there is a direct connection between my old backyard — and my new. St. Lawrence County, New York and Orange County, Virginia. Linked in so many ways.